I got the most awesome book in the mail this morning, called Crazy Wacky Theme Restaurants: Tokyo. I want to go and see them all one day, especially the Curl Up Cafe, where you get to snuggle up with cats while they serve them saucers of milk and play rolling videos of birds on the TVs. 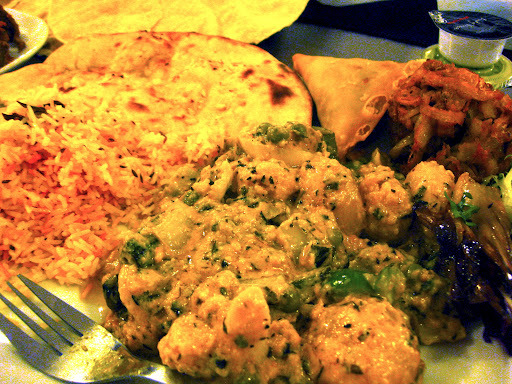 Tom had never tried curry before, so for dinner, we ordered food from the Bombay Bicycle Club. 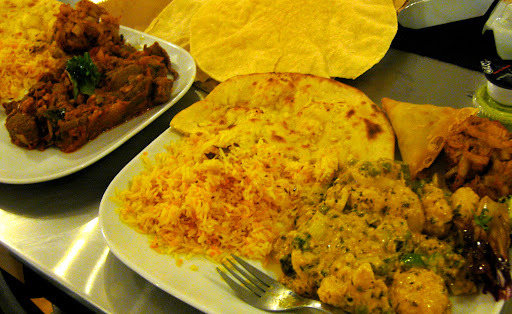 I had vegetable curry, rice, pikora, somosa and nann bread. It was the most delicious Indian food that I’ve ever had!